When I taught sewing classes, I loved teaching knitters. They were some of my favorite student because they were always so thrilled with how fast sewing is in contrast to knitting. I was always envious of these people. I learned to sew before learning to knit. I have since found it so hard to knit something when I know sewing would take a fraction of the time. To add to this admitted laziness, the popularity of sweater knit fabric is on the rise. This makes it easier than ever to find gorgeous sweater knits to fake the look of a hand knitted sweater. 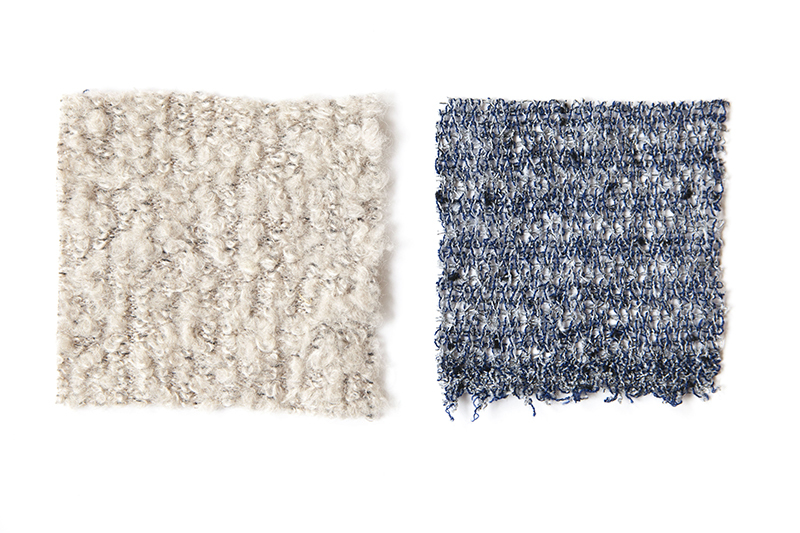 Just like most specialty fabrics, sweater knits require special treatment. Use the following as a guide to ensure your project is a success. There is a huge variety of fabrics that are considered under the sweater knit category. Sweater knits fall into one of two categories: dense knit and open knit. Dense knit fabric will behave more like a heavy jersey, but will unravel at a greater rate. 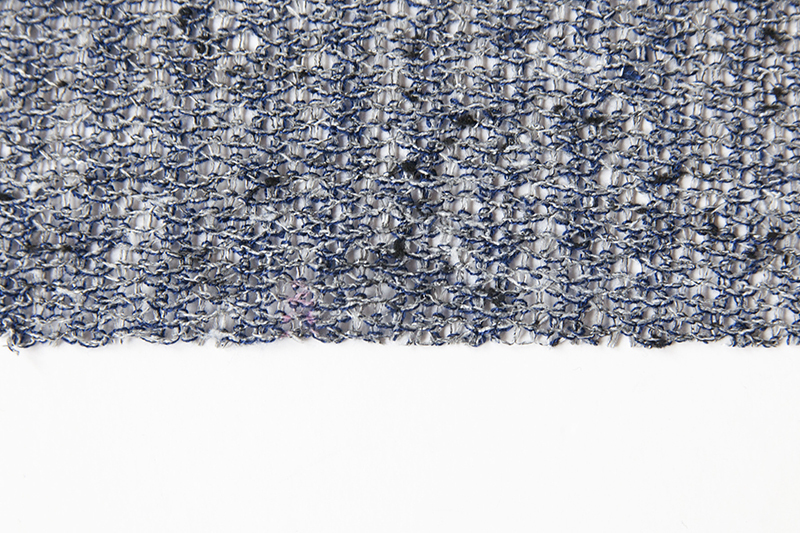 Open knits will require stabilizing and have a tendency to unravel. These qualities make them more challenging to work with. Predict problems before they happen. Test an unfinished edge of your fabric to see how quickly it unravels. Fold your fabric a couple of time the see if bulkiness will be an issue. When working with open knits stabilize seams that are prone to stretching. 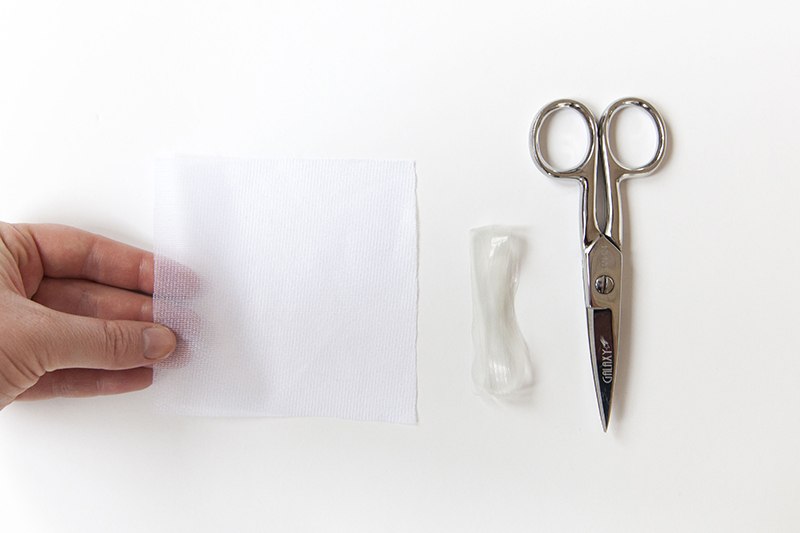 Try applying clear elastic, or mesh to the wrong side of the fabric at the sewing line. Cut extra seam allowance for open knits that are prone to fraying or unraveling. Reduce the bulk when sewing with dense sweater knits by grading your seam allowance. By pre-treating your fabric and prepping your cut pieces with care, you will lay a strong foundation for a well sewn garment. Pre-treat fabric by hand washing. Wash finished garments by hand, avoiding heat or agitation. Notches are impossible to see on fabrics like sweater knits. Instead, try using chalk or tailors tacks to mark notches. Slow down and enjoy the process when sewing with sweater knits. Making sure each step is intentional and correct will reduce run ins with your seam ripper. Reduce presser foot tension to avoid distorting fabric while sewing. A walking foot is incredibly helpful with sweater knits – it will help prevent fabric from stretching out of shape when sewing. Use the correct needle. Ballpoint needles are best used for sweater knits. The rounded point penetrates the fabric without catching or cutting through the yarns. Choose a size that is appropriate for the weight of fabric. While a 80/12 may be perfectly suited to a wool jersey, heavier knits will need a larger needle. Match the stretch to your stitch to the stretch of your fabric. If you knit is stable and densely knit, use a straight stitch and finish the edge with a zigzag stitch or serger. If working with an open knit with plenty of stretch use a stretch stitch or a serger. When pressing, apply just the tip of the iron to the seam. If fabric is synthetic use your iron’s steam to flatten seams. Just hover your iron about an inch above your fabric using the steam function to relax seams. 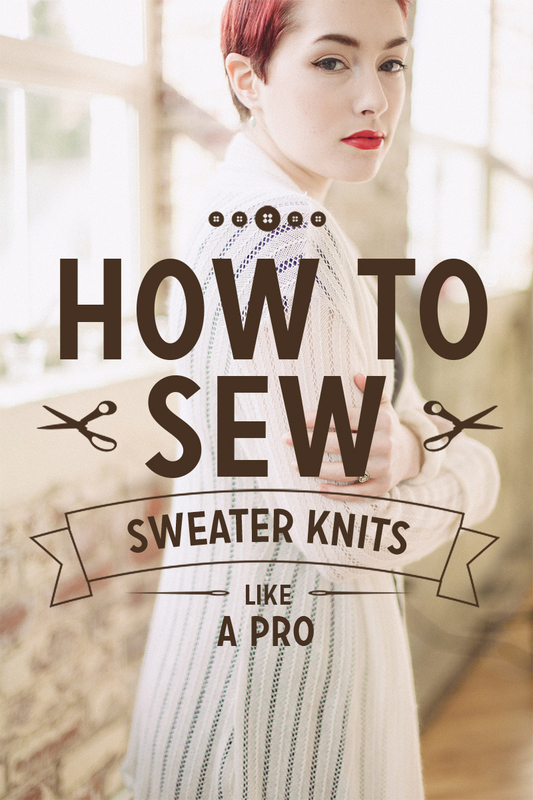 To learn more about working with sweater knits, check out How to Sew with Sweater Knits from Seamwork Magazine issue 01. Thanks for this nicely written and helpful article! I was just thinking about making my own sweater for autumn this year and came across your article. By the way, did you use any detergent when you hand-washed your knits? I like to use Woolite and room temperature water to hand-wash my sweater knits. Resist the temptation to wring dry, as this will warp the fabric. Instead, pat dry with a towel so that the fabric isn’t sopping wet, then hang until dry. Cool, many thanks for the tip! I don’t think we have Woolite but I do use Persil for my knitted sweaters. I don’t wring it dry but get so upset that it keeps on dripping! I will try patting it with towels as you suggested, I never thought of doing that before! Thanks for passing on all this sewing knowledge. You are so much more than just a sewing pattern company- I really appreciate all the work you put in that helps me become better at sewing.